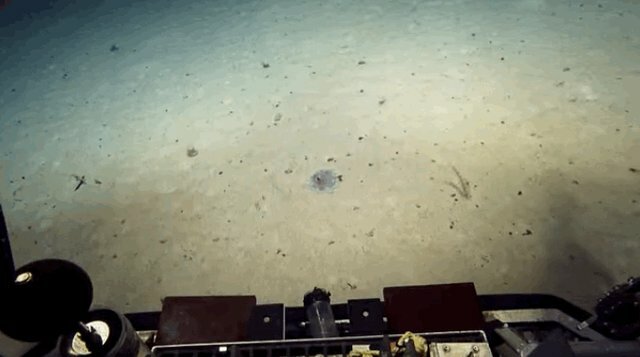 The Exploration Vessel Nautilus, operated by Ocean Exploration Trust, has captured footage of many unusual and fascinating sea creatures in its quest to explore and map the ocean floor. 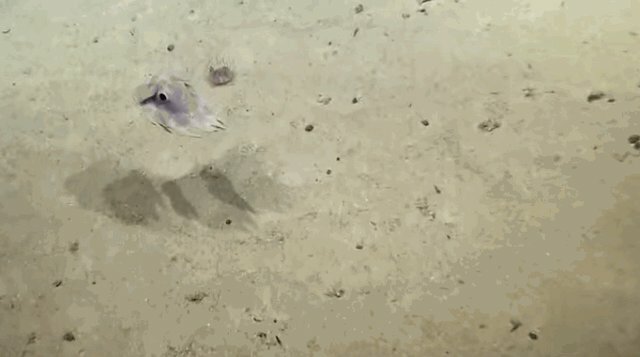 One of the marine species recently filmed both surprised and delighted the ocean explorers: the Dumbo octopus. Little is known about the Dumbo octopus, as only a handful have been studied. However, their most distinctive features are the ear-like flaps above their eyes, which resemble (of course) the ears of Disney's Dumbo. The little octopi use these flaps to propel themselves through the water in a most adorable fashion. Dumbo octopuses are very rare, as they are known as the deepest dwellers of all octopus species. They can be found in the ocean anywhere from 400 meters to 4,800 meters deep. 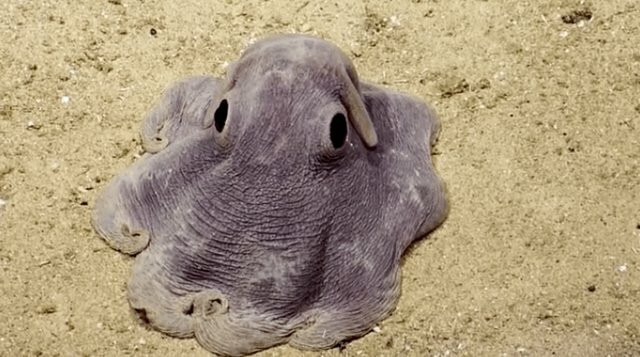 Seventeen species of Dumbo octopus are categorized in the group called "umbrella octopuses," due to the way their webbed tentacles look when floating along in the water. The little cephalopod impressed the explorers by hovering above the ocean floor like a tiny hot air balloon. 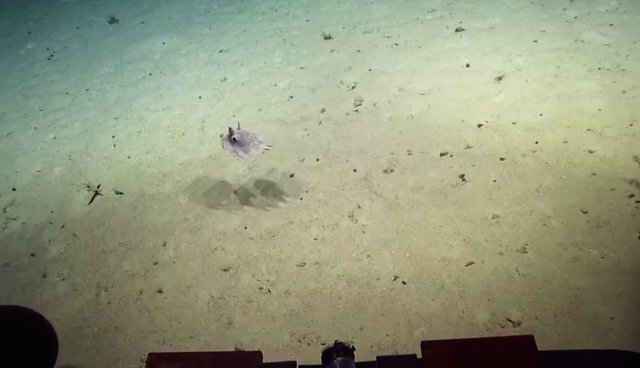 After a moment of swimming, the Dumbo octopus settled once more, allowing the researchers to get a better look at him. The little octopus was so charming that one of the crew members on the Nautilus made the astute observation that he "would make a great cartoon."